Tata Ficosa Automotive Systems Pvt Ltd., was incorporated on January 14, 1998 as a 50:50 joint venture between Tata AutoComp Systems Ltd & Ficosa International of Spain. 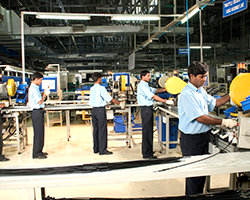 Tata Ficosa’s key customers include Tata Motors , Volkswagen , Ford India & Europe , Renault-Nissan, Mahindra, Fiat and Ashok Leyland. Its conventional product portfolio includes Outer Rear View Mirrors, Inner Rear View Mirrors , Parking Brake Levers, Gear Shift Levers and Washer Systems. Tata Ficosa has recently entered into the new product areas of Electronics for Mobility ; namely ADAS and BMS. 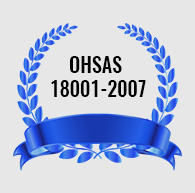 The Company has established plants in Pune, Pantnagar, Chennai and Sanand. 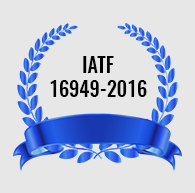 All these plants are IATF 16949 and ISO 14001 & OHSAS certified. 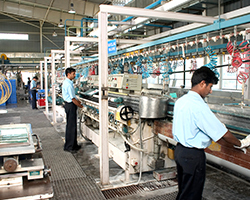 Ficosa Manufacturing System is Followed for Manufacturing Facility Development. All Facilities Developed Locally with Global Concept. Automated End line test rigs to check & Measure Critical performance parameters. 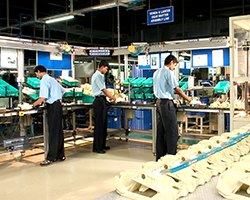 Traceability and Andon System Compactible manufacturing lines. 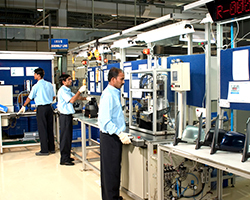 Flexible manufacturing assembly lines to accommodate Multiple product on single line. 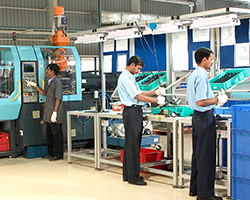 Industry 4.0 compatible manufacturing lines to track real time OEE,FTR,& SPC parameters. State of the art assembly line of Rear view camera. The line is integrated with Industry 4.0 standards and track real time OEE,FTR,& SPC parameters supported by automated end line test rigs to check & Measure Critical performance parameters along with part traceability.